Joyce Harper is Professor of Reproductive Science at University College London in the Institute for Women’s Health where she is head of the Reproductive Health Department, Principal Investigator of the Reproductive Science Group, Director of Education and Director of two MSc programmes - Prenatal Genetics and Fetal Medicine and Reproductive Science and Women’s Health. She has been working in the fields of IVF and reproductive genetics since 1987 and written over 170 scientific papers and published two textbooks. Her research includes preimplantation genetic diagnosis, factors affecting preimplantation development, comparison of in vivo and in vitro development, differences in culture media, embryo selection methods, sperm DNA damage and social and ethical issues surrounding IVF and reproductive genetics including gamete donation, surrogacy, social egg freezing, religious views to ART and fertility education and awareness. Joyce is passionate about public engagement to discuss all aspects of women’s health, including wellbeing. She has established a public engagement group with daily posts – www.globalwomenconnected.com. Joyce is writing a book covering women’s health from birth to death. 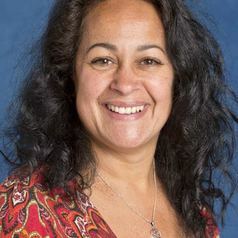 She is deputy chair of the UK Fertility Education Initiative, trying to improve fertility awareness in the UK and a member of the Fertility Arts Education Project Steering Group. Joyce has had many senior roles in the European Society of Human Reproduction and Embryology (ESHRE), including establishing the ESHRE PGD Consortium. She is chair of the HFEA Horizon Scanning Group and an advisor to the HFEA Science and Clinical Advances Advisory Committee. She is on the Board of the British Fertility Society. She is a member of the Nuffield Council for Bioethics working group on genome editing. For further information see www.joyceharper.com.